Ten full years ago today, an absolute army of Ricky Hatton fans were full on in their invasion of Las Vegas, there to support their Manchester hero “The Hitman” in his big fight with pound-for-pound king Floyd Mayweather. Hatton’s army of fans literally drank Vegas dry of beer, they chanted (and chanted, and chanted – quite annoyingly, it must be said) how “there’s only one Ricky Hatton,” and they were full of belief Hatton would defeat Mayweather. A decade on, and Hatton, now almost forty years of age and long retired, still thinks about the fight a lot. As fans know, Mayweather, defending his status as the best welterweight, indeed fighter, in the world, KO’d Hatton in the tenth-round. Hatton had some success early (HBO unofficial judge Harold Lederman had the fight all even after six) but eventually Floyd’s brilliance took over. But was there more to it than that? Referee Joe Cortez took plenty of flack after the fight, and not just from British fight fans. These people strongly suggested “Fair but Firm” was firmly on Mayweather’s side, breaking the two fighters at every opportunity. Hatton’s best chance, in fact his only real chance, was to get on the inside and go to work on Mayweather’s body. Hatton, at his best, when allowed to work, was a fine pressure fighter; a solid inside fighter. But did Cortez take the Manchester warrior’s best weapons away from him? Looking back a decade on, Hatton still thinks so. So, was Cortez way too big a factor in the fight than a referee should be in any bout? 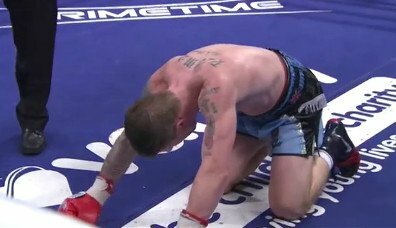 It must have been demoralising for Hatton, using so much energy and skill to work his way inside and then, once where he wanted to be and set to go to work, being pulled apart from his target by the referee. At the very least, Hatton would have had a good shot at going the full 12 rounds had a less, shall we say, fussy ref been working the fight. Hatton has moved on with his life, having suffered from severe depression after the loss to Mayweather, but even now, the British boxing hero has sincere thoughts of ‘what if’ when looking back on that epic night in Vegas. And he has every right to do so.